Graduate: Lethal Force Institute: LFI 1, 40 hr. course on the legal, moral, ethical, and practical parameters of the use of deadly force. Oct., 1981. 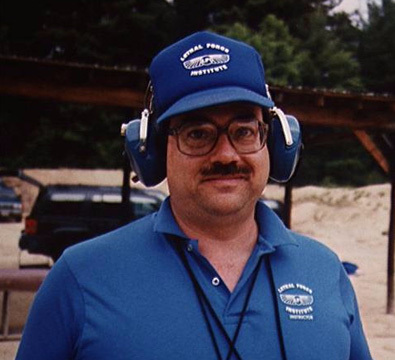 Graduate: New Hampshire Police Standards and Training Council's Skid Car Course, March, 1996. Member American Society of Law Enforcement Trainers (ASLET) February, 1989 - present. Re-certified at New Hampshire Police Standards and Training Council by Monadnock Lifetime Products, Inc. as a Certified Instructor for the PR-24 police baton, November, 1995. Re-certified by New Hampshire Police Standards and Training Council as a defensive tactics instructor, March, 1996. Re-certified Instructor for Revolver, Semi-Auto, and Shotgun, December, 1997 by Police Standards and Training Council. Oct 24, 1991 - LFI-1, Lethal Force Institute - The Judicious Use of Deadly Force. A four day course covering legal use of deadly force. 75% classroom instruction, 25% on the range. Oct. 15, 1992 - LFI-1, assisted Lethal Force Institute as a range officer. Re-took qualifying shooting exam. Dec. 5, 1992 - NRA Certified Home Firearms Responsibility Instructors Training Course, a 10 hour course for those wishing to become NRA certified instructors. 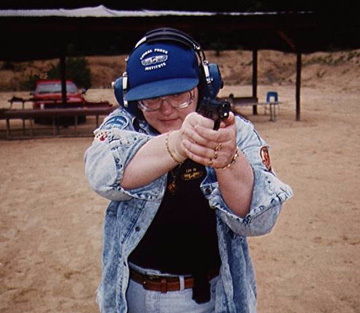 Jan. 16, 1993 - NRA Certified Pistol Instructors Training Course, a 10 hour course. Feb. 20, 1993 - NRA Certified Personal Protection Instructors Training Course, a 10 hour course. July 5, 1993 - Aerosol Subject Restraint OC-based gas generic self defense course. Includes taking one hit of pepper mace. August 9, 1993 Lethal Force Institute, LFI-II - Threat Management for Civilians, a 40 hour course in the use of handguns, shotguns, kubaton, weapon retention. Course includes return fire techniques when wounded, building search techniques, and how to assist police in danger situations. August 16, 1993 - Lethal Force Institute, LFI-III - Advanced Threat Management for Civilians, a 40 hour course in the use of assault rifles and submachine guns, shooting under extreme pressure, advanced combat shotgun, ambidextrous shooting skill. This course gives full certification of weapon retention and kubaton. September 10, 1995 - Lethal Force Institute, LFI-IV - Breaking the Envelope, an 80 hour course for the Pro-Systems Persuader Baton Instructor Certification Course, National Law Enforcement Training Center's Handgun/Long Retention and Disarming System Instructor's Course, Impossibly High Standards Exercises, including The Hackathorne Standards (shot 109 out of 180) and Double Duty Standards III (shot 58 out of 180), role-playing, with one day teaching LFI-I students and one day teaching sworn police officers weapon retention. 1992 - Present - Assisted as a line officer for LFI-I, LFI- II, LFI-III, LFI Stressfire, LFI Autopistol, and LFI Combat Handguns. Instructor for kubaton and weapon retention, teaching during Hell Week for LFI in Dec. 1993. Instructor at LFI- I in September, 1995, and police instructor during LFI-IV, September, 1995. 1994 - Present - Firearms instructor and assistant instructor for Aerosol Subject Restraint for Tarnhelm Supply Co., Inc., Boscawen, NH. Copyright © 1996-2015 Tarnhelm Supply Co., Inc. - All Rights Reserved.